The UK pop-punk stock take is still as extensive as ever, even despite the lack of a real legitimate breakout player currently in the underground. It’s not as if there’s a shortage of bands aiming to fill that vacancy though, like Bristol’s Tuskens, who have all the ambition and vigour of a band desperately seeking a spot at the winner’s table. With that in mind, new EP Hung Up On Everything mightn’t be the revelatory breakthrough that’ll take them there, but in terms of laying down the groundwork and covering all their bases, Tuskens don’t do a bad job at all. It’s also easy to see exactly where on the pop-punk map that Tuskens are pulling from at any given time – Vacant has more than a bit of Knuckle Puck to it, Paint Lines draws from The Gospel Youth and so on – and as such, Hung Up On Everything can feel more like a patchwork composite of Tuskens pulling from their favourite bands rather than forming a unique identity. But as far as early attempts go, there’s at least more to this than the typical crop of local pop-punks. For one, the production balance doesn’t feel nearly as slapdash, with prominence to James Pope’s vocals (save for Banshee which is a little more nasal than would be ideal) and melodies that are chunky enough to make up for any lack of real ingenuity. It also helps that, even now, Tuskens are establishing themselves as fairly competent songwriters; they aren’t exactly touching on any new ground lyrically, but in terms of hooks that can hit that level of anthemic scope, Night Glow and Seismic are indicative of a band who can easily work past the expectations of local upstarts. Even now, for as unseasoned as this EP ultimately is, there’s a core a strength that sees Tuskens working to an impressively high capacity. Even if they are still nestled in the bottleneck of underground UK pop-punk, they’re finding more to work with than a lot of their peers, and coming out with material that does edge a slight lead. There’s still a way to go – they’re still very much in tune with how pop-punk works and aren’t do anything to really break away from that – but if there’s a band that can break out after some serious growth, Tuskens wouldn’t be a bad bet. 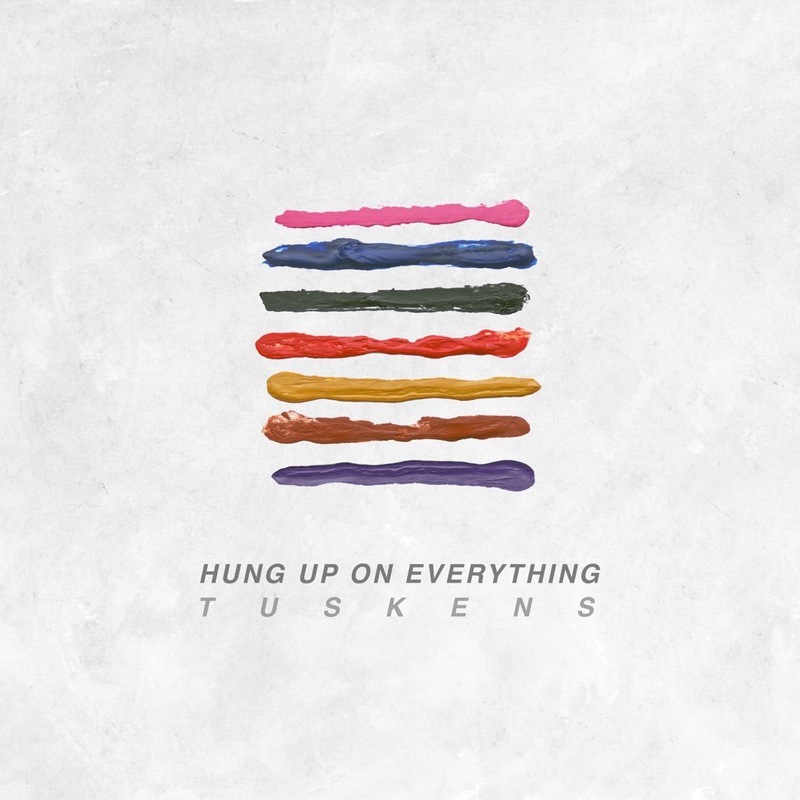 ‘Hung Up On Everything’ by Tuskens is released on 25th November.